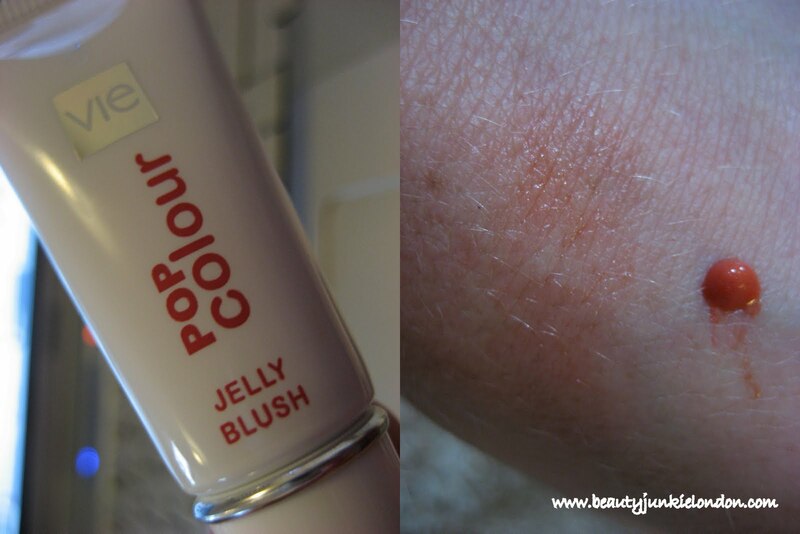 Last year I reviewed the Vie at Home Jelly Blush in Candid Coral. On a recent sort through of my make-up I found this and have started using it again and had to write something about it as I have rediscovered my love for it. The liquid blush started as a bit scary, but it’s so easy to use – a small drop goes a long way (see the size of the swatch – the small drop is enough for one cheek) although more can be used if a stronger colour is wanted. The colour is a gorgeous coral – my favorite blush shade of the moment. I love the sheer colour and healthy sheen/finish this blusher leaves behind. Plus I find it lasts well. I just checked and it’s still available on the website – for £9.50. This was sent for review last year and reviewed at the time. I re-discovered it and love it all over again – so opinion is still honest and impartial. I found this a bit scary at first too – took a bit of practice, getting used to how pigmented it is by applying to the back of my hand. But once I got the hang of it I found it pretty easy – and it’s very sheer so hard to go wrong!